You will fall in love with this ring. From the moment you place it on your finger for the first time you will know it was made especially for you. Maybe a match made in heaven? The cubic zirconia gemstone is heart shaped and is securely set in the center of the design. The vintage design compliments the polished sterling silver band. The combination of sterling silver and crystal clear cubic zirconia is timeless. Apples of Gold has qualified jewelry experts that handcraft each piece of jewelry. 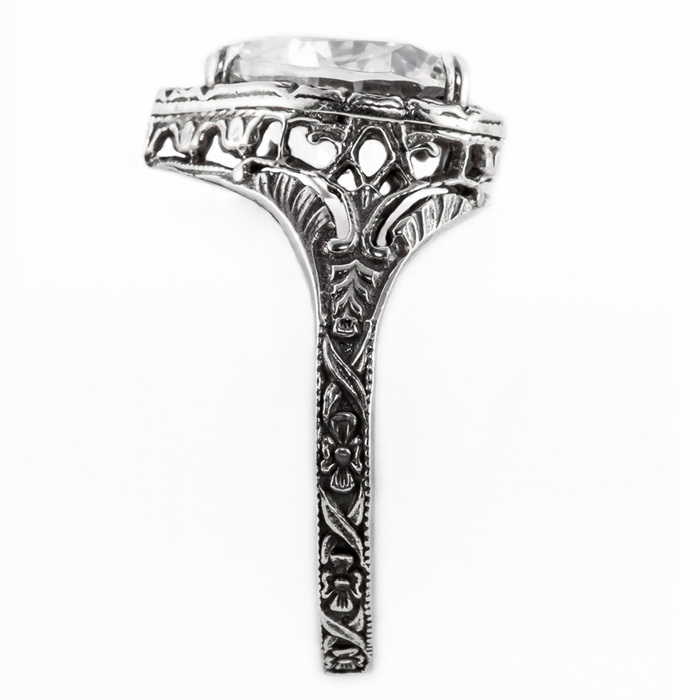 This sterling silver ring measures 10mm and is ready to ship to your home today. 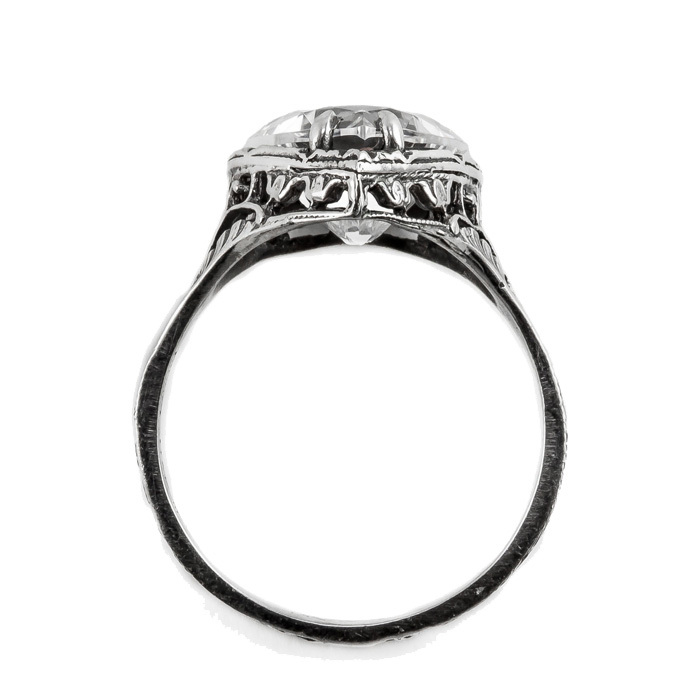 With its gorgeous filigree cubic zirconia gemstone and sterling silver band, this stunning vintage ring says come hither. 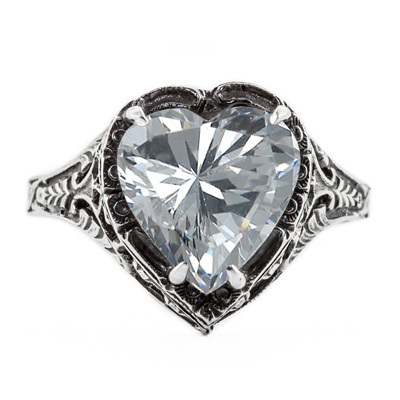 We guarantee our Vintage Filigree CZ Heart Ring in Sterling Silver to be high quality, authentic jewelry, as described above.